Here’s the scoop. Once there was Marlow, now there’s Mango, Frank Mango, a new detective doing his job in a very old fashioned way, an unlikely hero in an age of computers, gadgets, and gizmos. Two dead bodies have been discarded along the Sunset Strip, both aspiring actors, women of talent and ambition in a town renown for eating you up and spitting you out. Who really cares about these nobodies? Mums the word—with the Academy Awards just days off, the powers that be are determined to sweep the dead under the red carpet, at least until Oscar can take his gratuitous bow. There are, however, wrinkles in this finely crafted plan of deception, most notably the disappearance of yet another woman, a killer whose sniper rifle is trained on the fabled red carpet, and a throwback detective who doesn’t like to get pushed around. Maerad, a young slave-girl living in an unforgiving settlement, learns she’s been born with the “Speech.” It’s a gift that extends her life threefold and grants her power over a great evil threatening the world. Under the tutelage of Cadvan, Maerad develops her skills along a treacherous journey. An epic 1980′s Supernatural tragic coming of Age love story. The high school prom was the worst night of David’s life, and twenty years later, he’s unable to get over high school. But given the tragic circumstances of that night, who could? There are nine student deaths at Stanton High School every year. Surviving senior year has never been so stressful. In the 1980′s, crime, gangs, and violence, have taken over New York City, making life a challenge for any student. The story follows David from the first day of his senior year, all the way to graduation. Doubts, a lack of direction, and regret are weighing heavily on his mind. He is a musical prodigy confused about college, life, and career choices. He can’t trust his classmates at his ultra-competitive high school, where the goal is Harvard (no matter who gets hurt in the process.) Delancey is the girl of his dreams, but she is out of his league. The SATS, choices for college, school dances, and the prom, all start to overwhelm David. 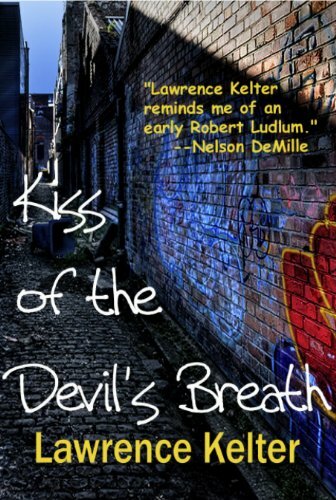 A fellow student, obsessed with the metaphysical world, befriends David and creates a doorway into a supernatural world where must give the musical performance of his life in order to win back the girl of his dreams. An unforeseen plot twist leads the reader to a thrilling and suspenseful ending. Worlds Apart is an urban retelling of the the Greek Myth of Orpheus and Eurydice. Escaping post-9/11 New York City life, Lynn Schulman relocates her family a short distance to Riverside, the suburban town of her youth. 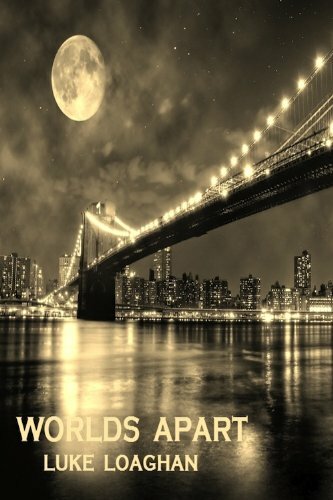 But her safe haven shatters after her oldest friend is found dead in the Hudson River, and the cop investigating the case is Lynn’s still-bitter ex-boyfriend. 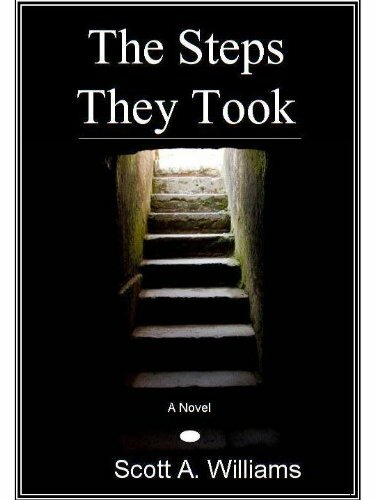 “The Steps They Took” is the story of a man haunted by suspicion, plagued with resentment, and feeling victimized by life, whose vindictiveness toward his philandering wife backfires, leaving him estranged from his children, seared by loneliness, and facing dire legal consequences. He meets Suze, a woman five years his senior and an upper-class socialite married to one of the richest men in Texas. Her untreated alcoholism and a series of affairs, culminate in a relationship with Father Serge, an ambitious Catholic priest whose reaction to her pregnancy leaves Suze heartbroken and bewildered. While battling to vindicate himself and reunite with his children, Renn is forced to accept his role in his wife’s infidelity and confront personal issues that are as painful as they are revelatory. Suze, embittered by a conspiracy involving her mother, Father Serge, and the bishop of the local diocese, turns to counseling and Alcoholics Anonymous to uncover the underlying causes of her self-destructive behaviors and, in the process, comes to a spiritual and personal crossroads. “The Steps They Took” examines the redemptive power of surrender, forgiveness, and hope in recreating shattered lives. Bedridden with an illness, Elisabeth Tova Bailey chronicles the life of a snail she finds hidden in a gift of potted violets. Told with wit and grace, this award-winning memoir provides an appreciation of what it means to be fully alive and how nature illuminates our own human existence.